Oh, the hidden treasures of NYC!! 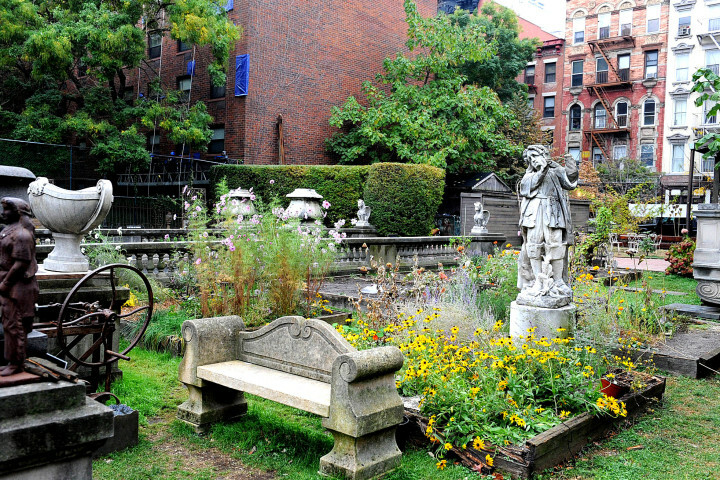 If you have never been to the Elizabeth Street Garden, you are in for a treat. This wonderful green space is tucked in behind and around the buildings of Little Italy. 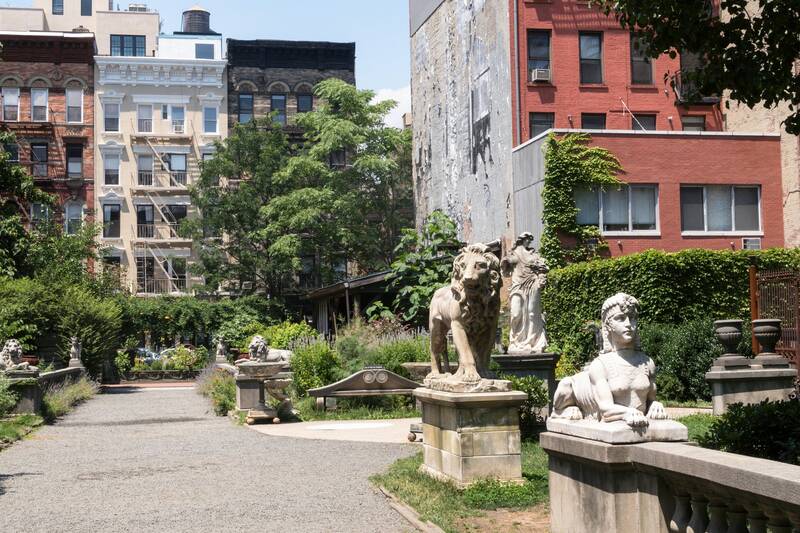 Fronting on Elizabeth Street and reaching back to Mott Street on the block between Spring and Prince, it offers a chance to sit in a beautiful garden surrounded by architectural artifacts, statues, gargoyles and animals donated and saved (?) from buildings all over the city. Bring some lunch, a stool and a cap (should we get some sunshine) and spend a few hours capturing the wonders of this magical space. Come now! There are developers who are moving in on the space. This might not be here for long, so come and enjoy it while its here. Please RSVP directly to Raylie Dunkel at raylie@verizon.net. Looking for us? Text/call Raylie at 201-978-6387.